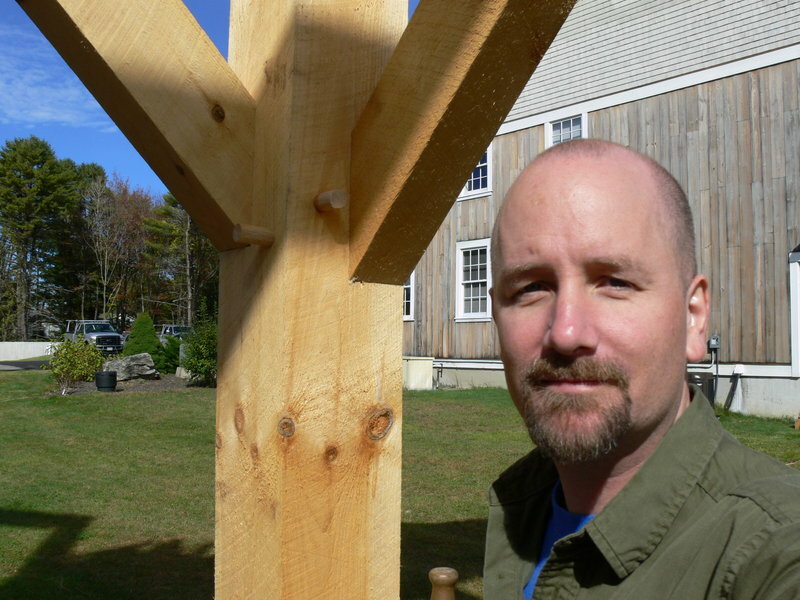 An appreciation for old joinery leads a writer to dig deep into storehouses of Maine heritage. Don Perkins has worked as a carpenter and woodworker, and it was that work that got him interested in barns. Maine barns come in three basic styles: English barns, which use a tying joint that dates to the 13th century; New England or Yankee barns; and modern barns, which started appearing in the 1930s. 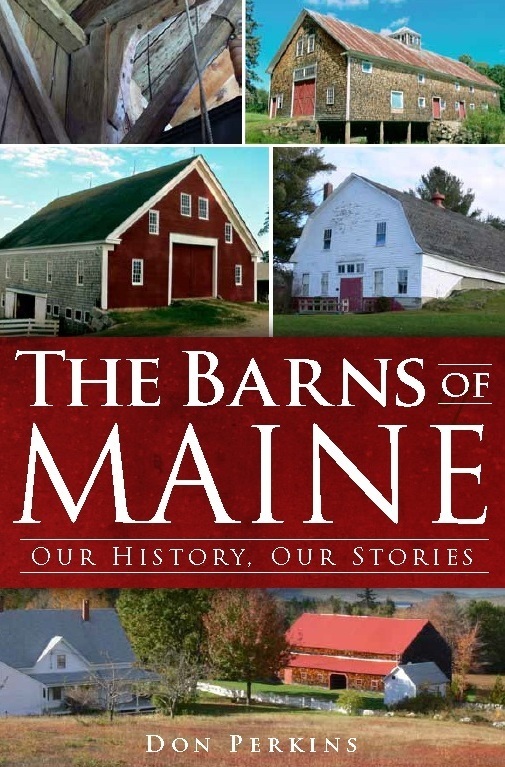 “The Barns of Maine: Our History, Our Stories” tells how those barns developed in Maine, where they are located and how they are used. The paperback is published by The History Press, has 192 pages, is priced at $21.99 and is available in local bookstores and at Perkins’ website ourbarns.com. Perkins began work as a freelance writer in 1995, and wrote columns for the Portland Press Herald for seven years. Q: These old barns are sort of a window into history. Explain how the changes in barns relate to changes in farming. A: From the construction of them you can tell certain things. How they are built, the way they did the joinery tells about their ethnicity. These were English folks who came here, and we have that as the beginning of the culture. This is New England, and I never realized before that that is a literal statement about how the region was settled. The design of barns and the way they developed over the years, with floor plans and layout, show the stages that farming went through. They were originally used to store hay and grains, and then increasingly focused on livestock. I traveled all over the state to research this book. What I discovered was that Maine barns went through three generations or phases. The first being the English barns, the second being the New England or Yankee, and the third being the big, tall gambrel-roofed barns. Aroostook County’s barnscape is primarily gambrel barns. Washington County has mostly English barns. The rest of Maine exhibits New England- or Yankee-style barns. There are a few factors determining why each region has what. Q: Why is it important to preserve barns if they have outlived their original purpose? A: That is a concern many barn owners face. I think culturally it is important to preserve them. Privately, it is a whole ‘nother matter for a farmer to preserve a building that isn’t useful. The English tying joint, which originated in England in the 13th century, had been used in barns for 500 years when it was brought to this country and used in the English barns. For something to last 500 to 600 years, for the practice to keep going on this long, is really important. People talk about the National Register of Historic Places and for what type of buildings it should be used. I think that any building surviving in the 21st century that has an English tying joint: That is reason enough to be on the historic register. Q: You write about some barn preservation workers. Is it a job that really requires a specialist? A: It depends on what kind of barn you have. If you have the traditional form, hand hewn with the English tying joint, you need someone who is a specialist. But with the ones built after the 1930s or ’40s, a regular carpenter can do it. Q: What is your opinion of barn conversions: to stores, houses, concert venues or whatever. A: That has been really a great thing for the preservation of barns. I get asked all the time if I know of a barn that someone can get married in. Barns are just romantic places. Q: You mention that a lot of barns are made up of two barns put together. How did they do it? A: That was a surprise to me, too. Buildings were rearranged all the time. Of course back then they didn’t have to deal with a lot of things like plumbing and wiring, and with modern building codes about where you could put a building. Q: Any plans for a sequel? A: I would love to do one. Photography is one of my interests, and I did do 98 percent of the photos in this book. I would love to do another book about barn photography, with poetry about barns. It would be totally different, like a coffee-table book. Q: If someone has a barn that they want some detective work done on, is there anyone they should call? I can come by and date a building and give an overall history of the transformations farms went through, whether it was a horse barn or a dairy barn or whatever. There is a lot you can see just looking at these barns. I see myself as an archaeologist looking at these buildings. I call myself a barnologist. You can tell a lot by the tying joints, by the saw marks on the wood, how things were placed. A: They are going pretty well. My publisher says 600-odd copies have been sold so far. It is in a lot of the local bookstores. I had a table at the Cumberland Fair and sold a lot of copies, so I think I will go to more fairs next year.